6. 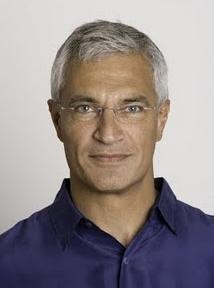 Louie Psihoyos – The Filmmaker » Change Myself. Change the World. Psihoyos has also been a scuba diver for several decades. While on a dive trip, he and his long time dive buddy Jim Clark (founder of Silicon Graphics, Netscape, and WebMD) talked about the incredible rate of decline of reefs and sea life they had observed during their life time. Clark said somebody should do something about it to which Psihoyos replied “How about us”? 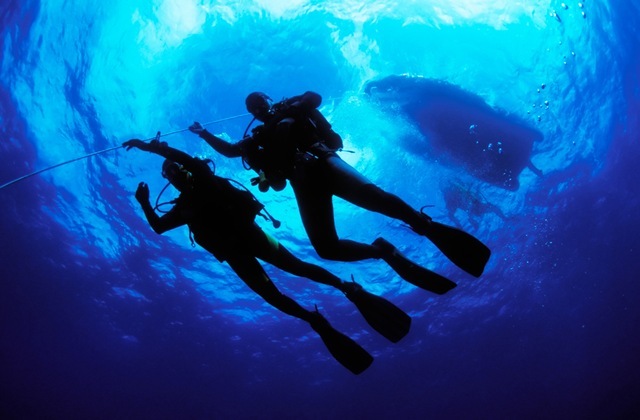 As a result, the two of them founded the Oceanic Preservation Society (OPS). The idea for The Cove, his first documentary for OPS, came when he attended a conference for marine biologists. 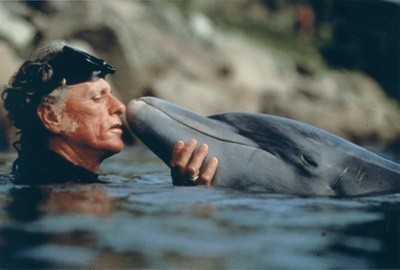 The keynote speaker was supposed to be Ric O’Barry, world famous for capturing and training the dolphins used in the 1960s TV series Flipper. At the last minute, O’Barry was banned from speaking. A major sponsor there was Sea World and Ric O’Barry was their enemy. Earlier on a successful young O’Barry ignored the declining health and signs of depression in his dolphins. But in time he began to see the signs. 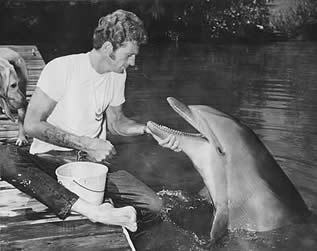 He formed a very close bond with one dolphin in particular named Kathy. With tears in his eyes, O’Barry tells the story of how Kathy swam into his arms and with no illness of any kind, stopped making the effort required by dolphins to breathe. The next day he was arrested for trying to free a captive dolphin and has continued this mission for the last 40 years. O’Barry told Psihoyos that he had planned to speak at the conference about the slaughter of thousands of dolphins in a tiny town called Taiji, Japan. The next week the two of them were on a plane to Taiji. The Cove “tells the amazing true story of how Psihoyos, O’Barry, and an elite team of activists, filmmakers and freedivers embarked on a covert mission to penetrate a hidden cove in Japan to shine light on a dark and deadly secret.” It is an amazing and powerful film about how the team evaded police and snuck high tech equipment in to the cove in the middle of the night to discover what not even local Japanese people knew was going on in their own town. 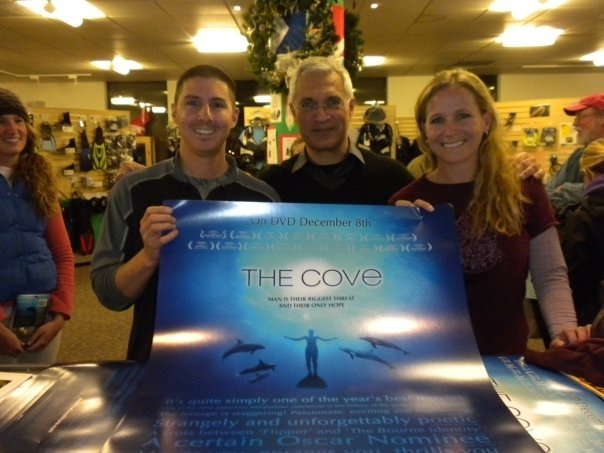 Louie Psihoyos lives in Boulder, CO. A couple months ago he came to a local scuba shop called Ocean First Divers to talk about the film and Todd and I were able to meet him and ask questions about his experience. Last Tuesday the film was officially nominated for an Academy Award for Best Feature Documentary. Best of luck to him and his efforts.